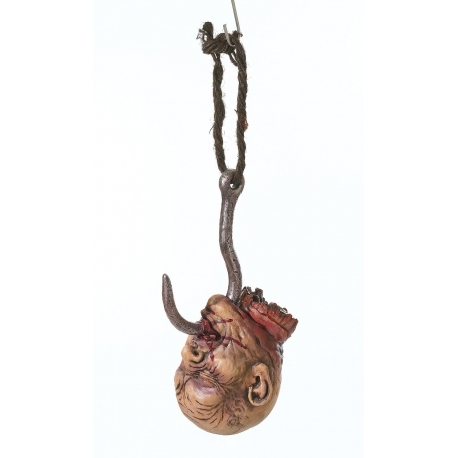 A grisly way to meet your maker...impaled through the chin and mouth with a fiendish looking meat hook. A gory Cut Off Head guaranteed to send shivers through the room. 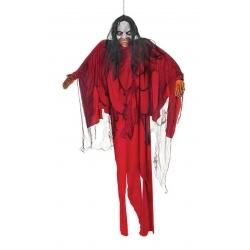 Life size and made of latex rubber this halloween horror prop is extremely detailed and comes with a rope for hanging. If you are looking for gore, then look no more!